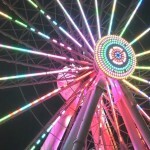 There’s a very cool new ride for all the family opening in Pigeon Forge this Friday, June 21. 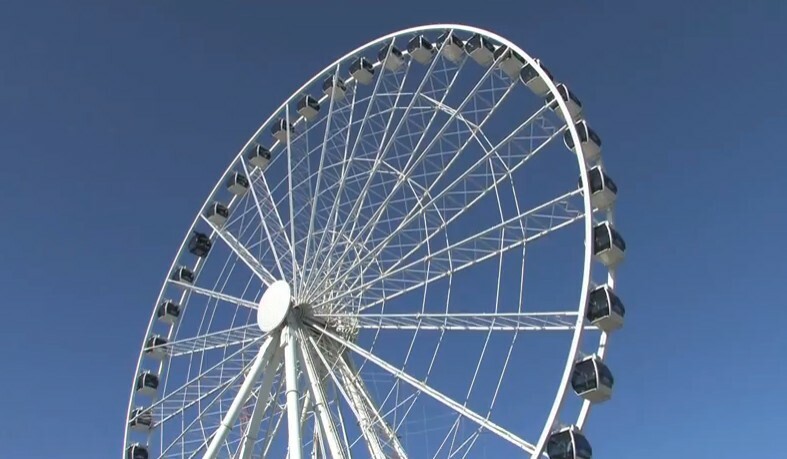 It’s the Great Smoky Mountain Wheel, a 200-foot tall observation wheel offering spectacular views of the Smoky Mountains. The Wheel has 42 climate-controlled gondolas that each hold 8 people, so pile in the whole family or take the whole group sharing that huge rental cabin. For the deluxe experience take the VIP Gondola, seating up to 4 people on plush red leather, and with a glass floor for total all-around viewing. Impress your date or business associate, or just take Mom & Dad for a fun ride. 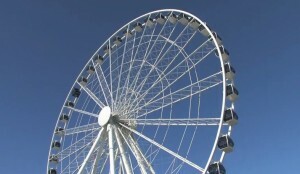 The Smoky Mountain Wheel is the centerpiece of the redeveloped Belle Isle Village now re-launching as The Island in Pigeon Forge. Situated in the heart of Pigeon Forge, the 22-acre destination retail and entertainment center offers eateries and shops such as Auntie Anne’s, Cinnabon, Island Yogurt, The Fudgery, Poynor’s Pommes Frites, Timberwood Grill, Mellow Mushroom and Dude’s Daiquiris. The family-friendly Island also offers lots of entertainment for the kids, with Arcade City, The Flying Horse Carousel, and a Bungy Dome (yay!). The Wheel is a great way to take in the view of the surrounding area, but it also doubles as a landmark sight in its own right. At night the rides keep going and a 24,000 square feet LED light show will flash all the colors of the rainbow, visible from miles around. So just in case we thought the “fantastic” factor might get full in the Pigeon Forge and Gatlinburg area, here comes another great treat to demonstrate the endless imagination and fun of this unique spot. The Island is located on a Fun Trolley stop at Island Drive, close to Parkway’s Light #3. 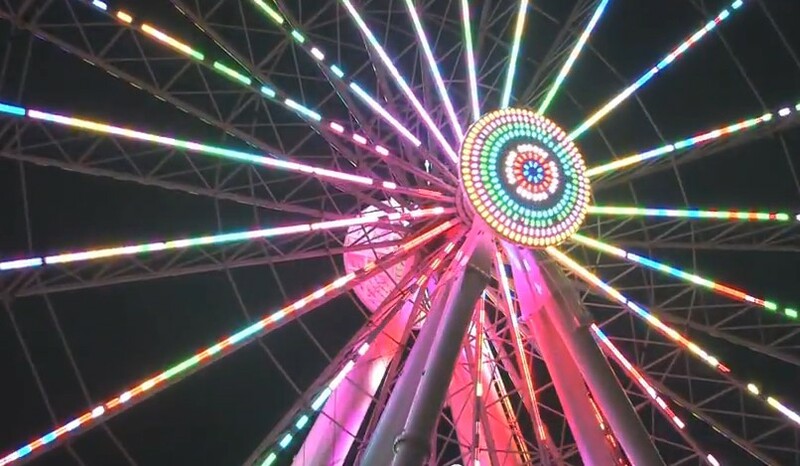 Take Smoky Drive off Parkway for your best way in, and you can ‘t miss the Wheel – especially at night! For more details check The Island’s web site.